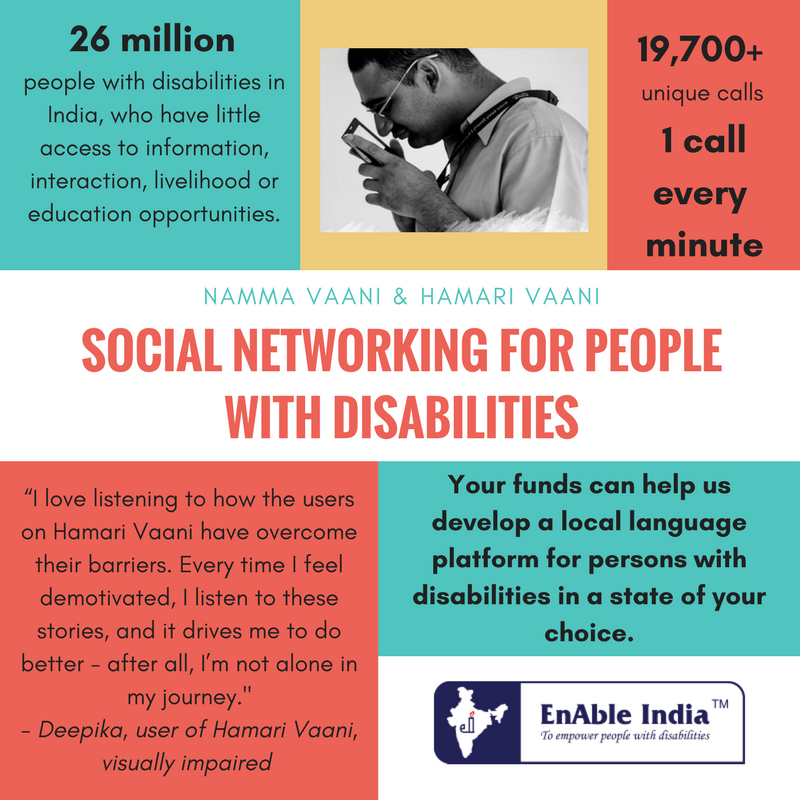 In collaboration with Enable India, we developed an IVRS service specifically for persons with disabilities – Namma Vaani in Karnataka, and Hamaari Vaani in Hindi-speaking states. In less than 2 years, this popular ‘social network’ has been used by over 15,000 people with disabilities, and 300 livelihood opportunities and vocational tips have been shared. Read more about this initiative here. Here is our plan to take this initiative further. Write to us at contact@gramvaani.org/ to know more or contribute to co-funding this project!